New 5-song EP from this Seattle (technically, Everett, Washington, but who likes technicalities these days) band who released their debut album, Don’t Be A Stranger, in 2008. Their sophomore album, Tidelands, comes out on September 14th. 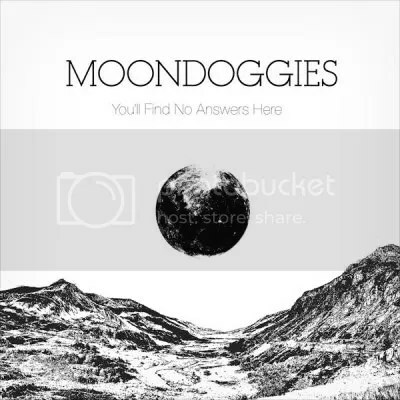 Until then, if you see the Moondoggies on their tour with Blitzen Trapper, you can pick this up. The songs on here won’t be appearing on the new album so you don’t even have to worry about overlap. This is indie folk-rock with a heavy dose of country injected into the mix. Very laid-back stuff. Check out the vocal harmonies. I’d recommend it if you like bands like the aforementioned Blitzen Trapper or Band of Horses, Fleet Foxes, and the like. This entry was posted on June 23, 2010 at 12:00 pm and filed under TheSlacker. You can follow any responses to this entry through the RSS feed.